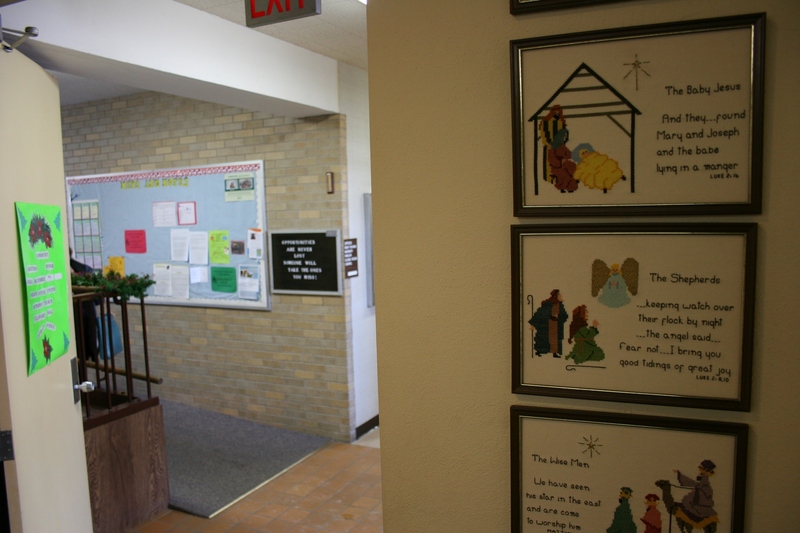 THIS MESSAGE GRABBED my attention recently at Fourth Avenue United Methodist Church, Faribault, Minnesota. Definitely words to ponder as 2013 draws to a close and we look ahead, with hopefulness and resolution, to the new year. 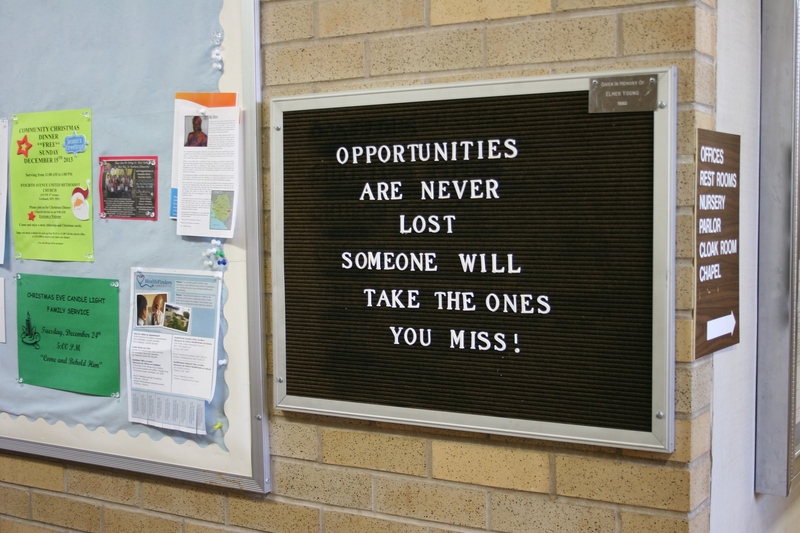 What opportunities will you seize in 2014? EVEN WHEN PASTURES are not green, the Lord stands steadfast as our shepherd. Pastures currently are not green, in the literal sense, here in Minnesota, although on Saturday we enjoyed a balmy 46 degrees. 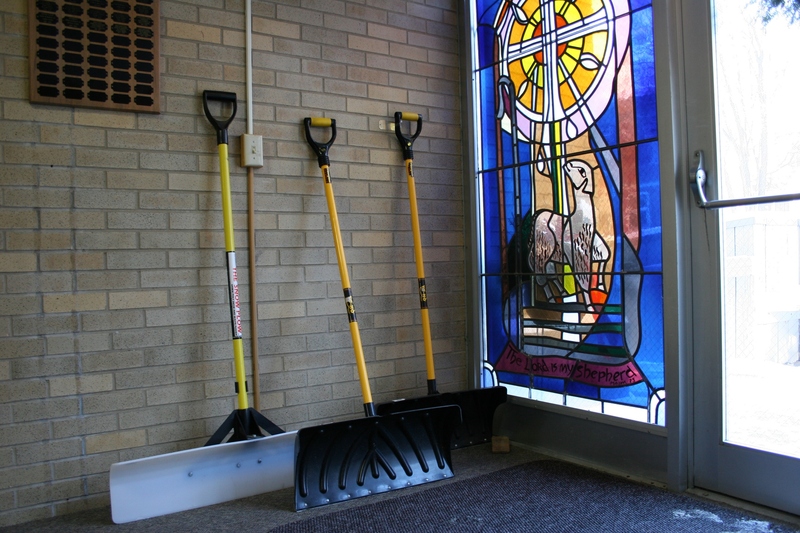 Today we’ve been thrust back into winter’s hold, with an Arctic air mass gripping the state. Air temps are hovering around zero degrees Fahrenheit with the windchill at minus 25 – minus 34 degrees F.
Consider that yesterday I didn’t wear a coat; my long-sleeved flannel shirt proved sufficient to keep me warm while outdoors. This morning I pulled a sweater over my shirt and bundled into my wool coat, scarf and gloves to head out for church services. What a difference between yesterday and today. Just like our lives. One day brings comfortable walking through green and sunny pastures. The next day brings challenges along a cold and snowy path. No matter the route, I am assured that the Lord is my shepherd, there to guide me on this journey through life. He gives me the tools—prayer, loving family and friends, His promises and love, and more—to help me clear and navigate the path when the going gets rough. What a blessing to have the assurance of His presence. Photographed this past summer in Rossville, an unincorporated village in Allamakee County in northeastern Iowa. THROUGH THE FILTER OF MY MEMORY, I picture her seated at the kitchen table, booklets spread before her on the stiff floral oilcloth. She’s licking strips of Gold Bond Stamps, carefully placing them within a paper grid. Fill the booklet and she can redeem the coveted stamps for merchandise. Except I cannot remember anything my mom ever got with those stamps. Rather, I recall the stockpiling of stamps, watching her and, occasionally, myself, running my tongue along the glue then meticulously positioning those precious golden rectangles upon paper. 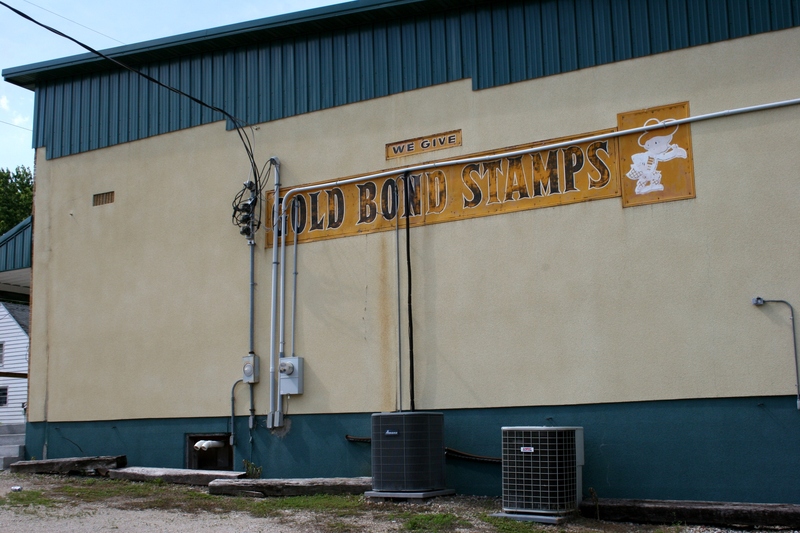 Oh, the memories of Gold Bond Stamps. 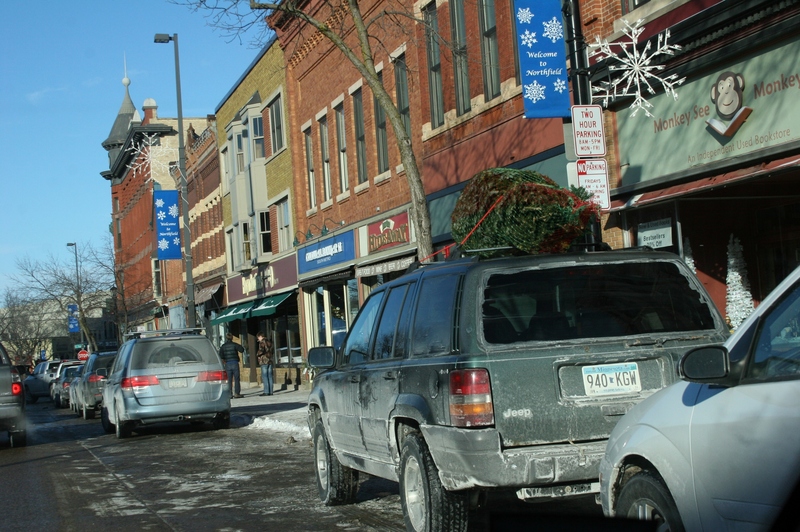 A snippet of Division Street in downtown Northfield shortly before Christmas. 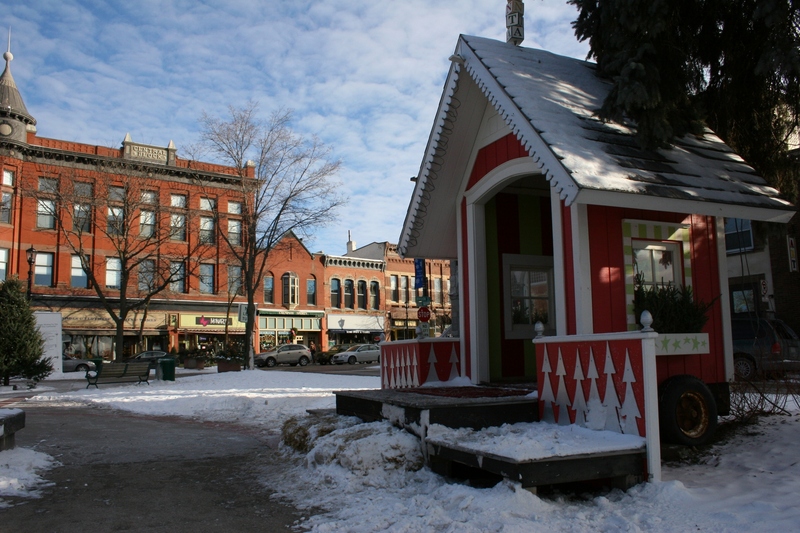 NORTHFIELD, IN MY OPINION, rates as one of southern Minnesota’s most visually appealing and charming river towns. Nestled along the banks of the Cannon River, this college community of some 20,000 is historically-known as the place where the James-Younger Gang met its defeat during a failed bank robbery. Merchandise displayed outside of an antique store. 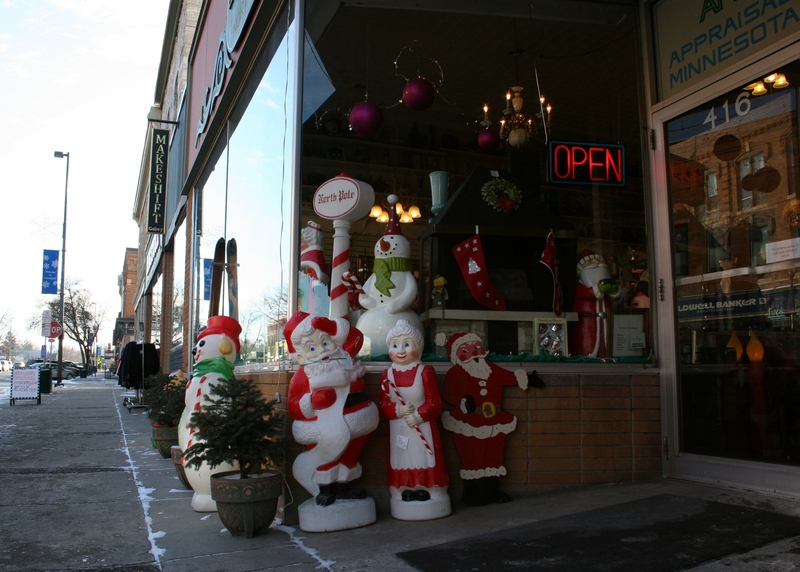 The draw for many to Northfield, though, are the one-of-a-kind artsy shops and eateries dotting Division Street, the main downtown route bordered by primarily historic buildings. Santa wasn’t in when I stopped at Bridge Square. But kids can meet with the Jolly Old Man in his very own holiday shack. 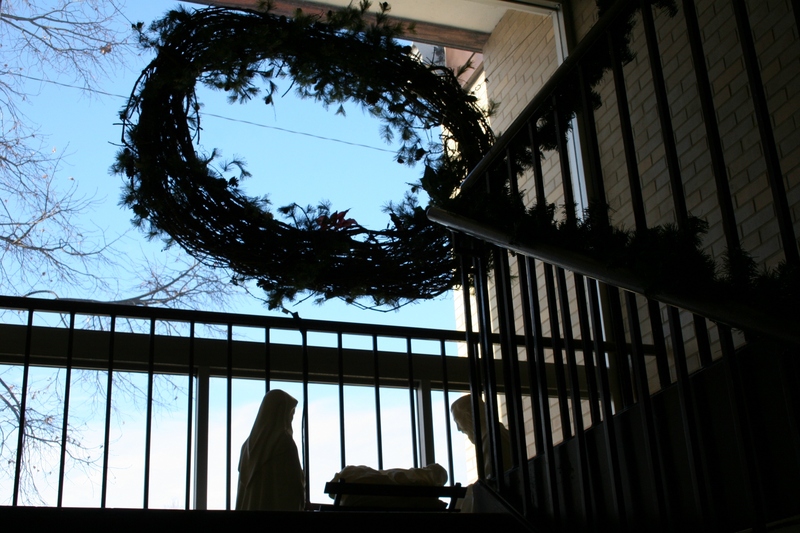 On a recent Sunday afternoon before Christmas, I strolled along a portion of one block over to the town center, Bridge Square, to capture the holiday scene. 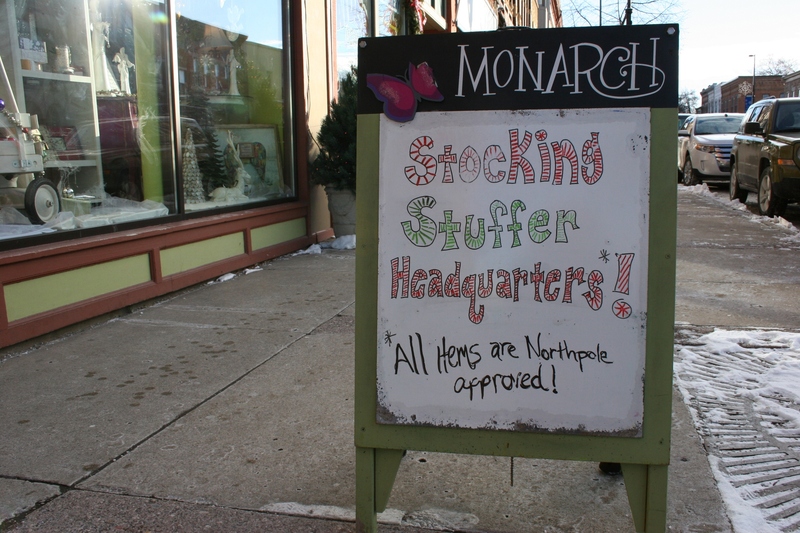 Detailed holiday signage draws shoppers into businesses. 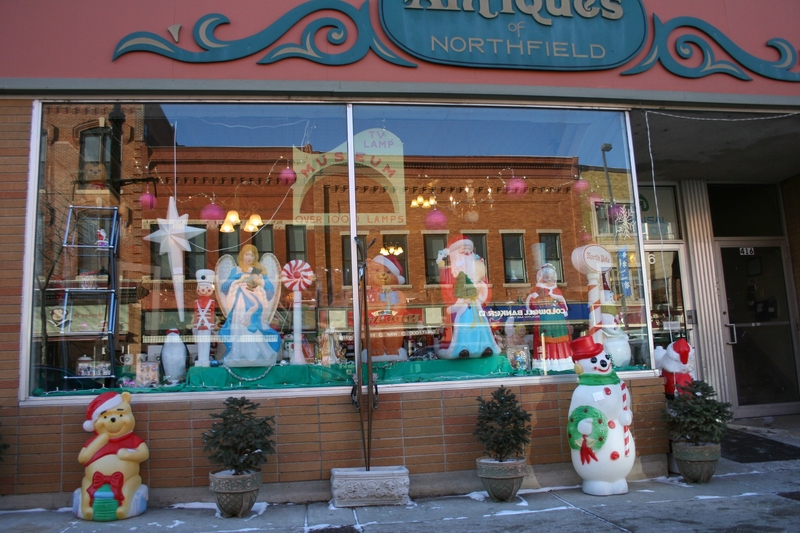 Northfield merchants know how to do Christmas right. It’s in the details—the words and colors and designs and ambiance—creating an aesthetically-pleasing set that draws you into the scene. 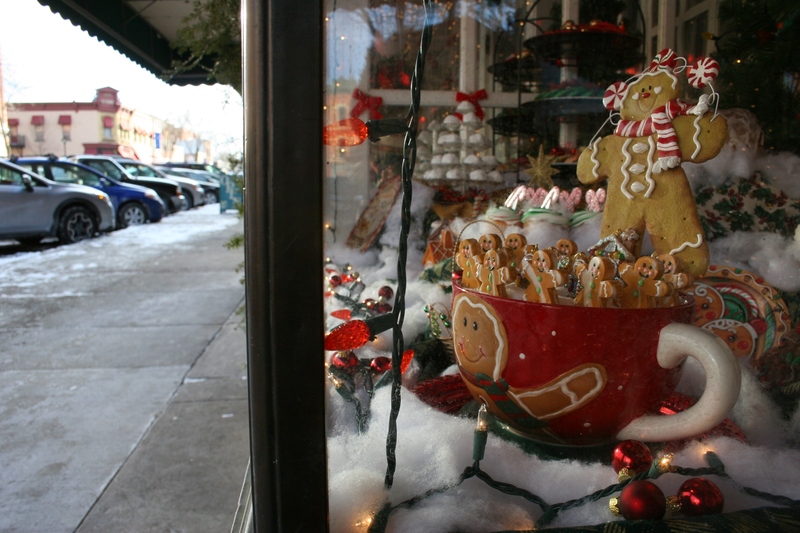 A scene in the bakery window. 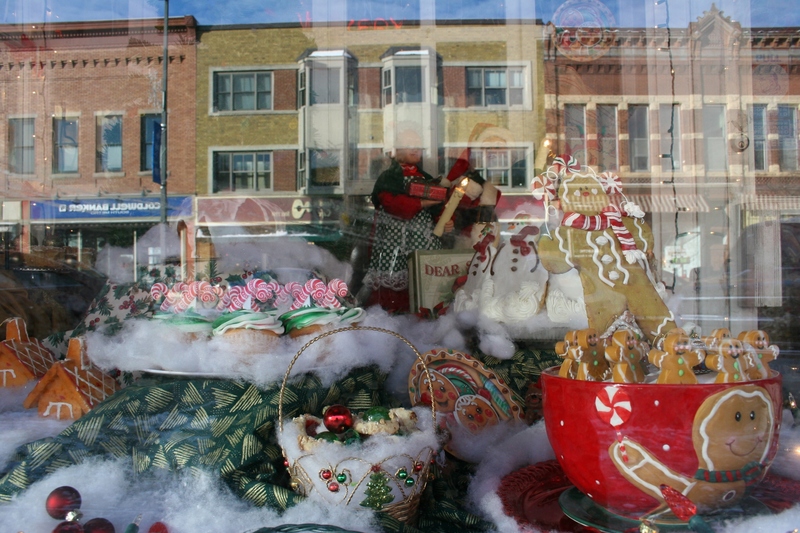 Another view of that bakery window with historic buildings reflected. 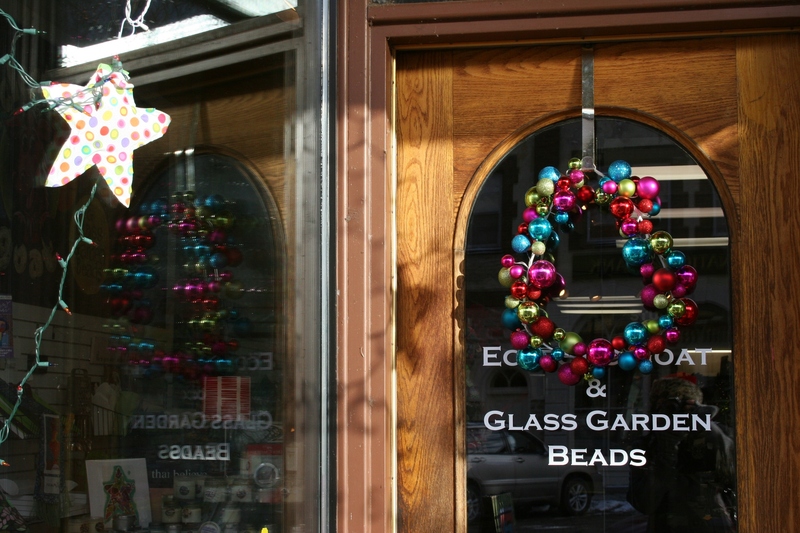 The front window and door of the Eclectic Goat and Glass Garden Beaads. 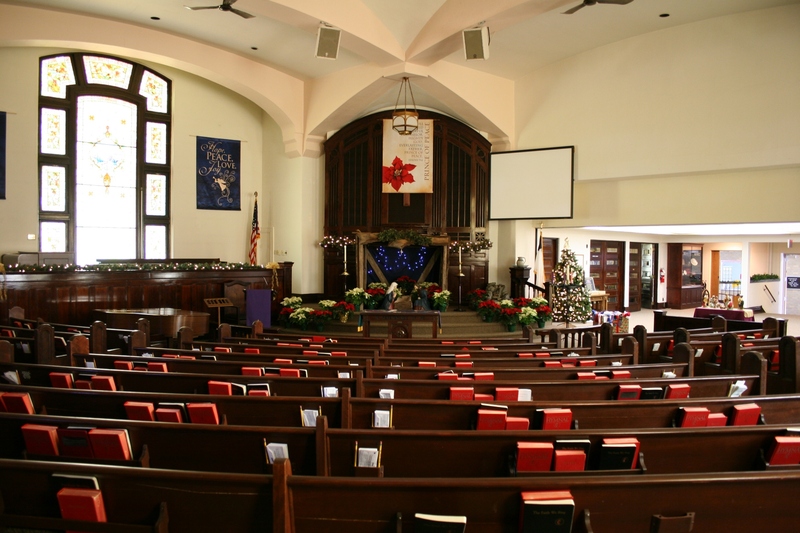 ATTENDING CHURCH SERVICES has always been a part of my Christmas time celebration for it is Christ’s birth I focus on today. 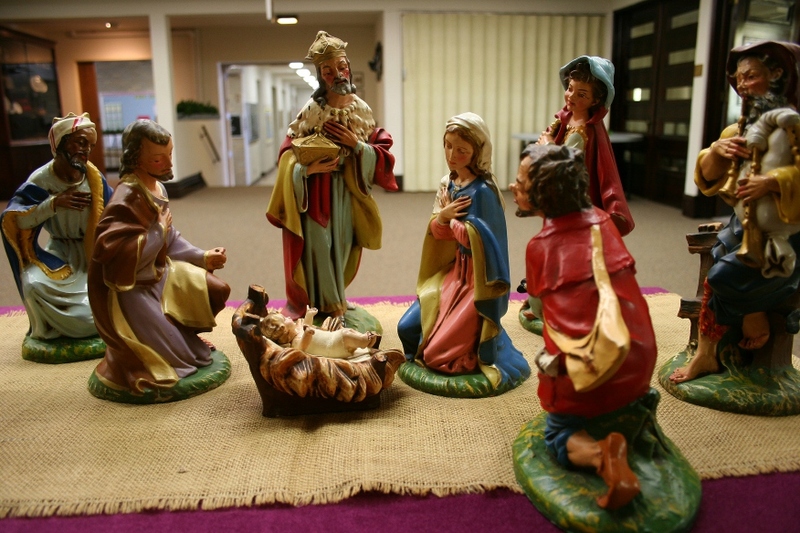 the anticipation of children restless with excitement. 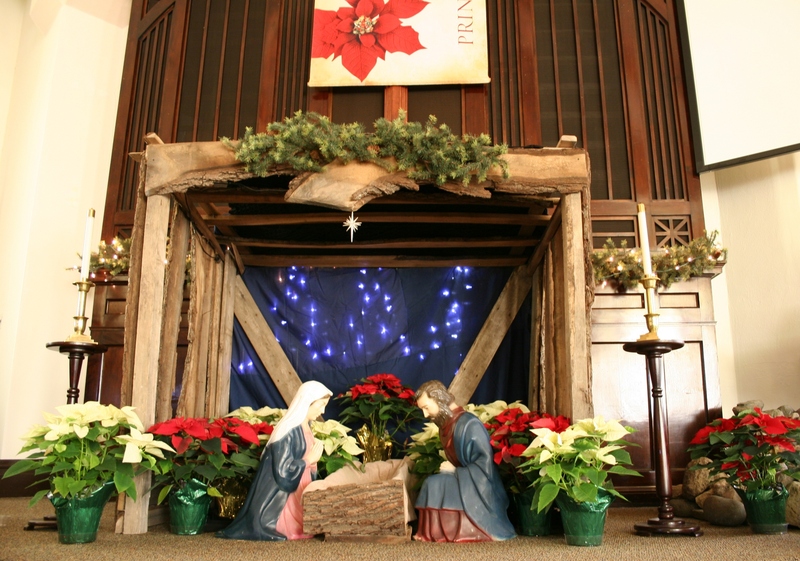 May the blessings of peace, happiness and joy be yours today and in the year ahead, for unto us a Saviour is born, Christ the Lord. 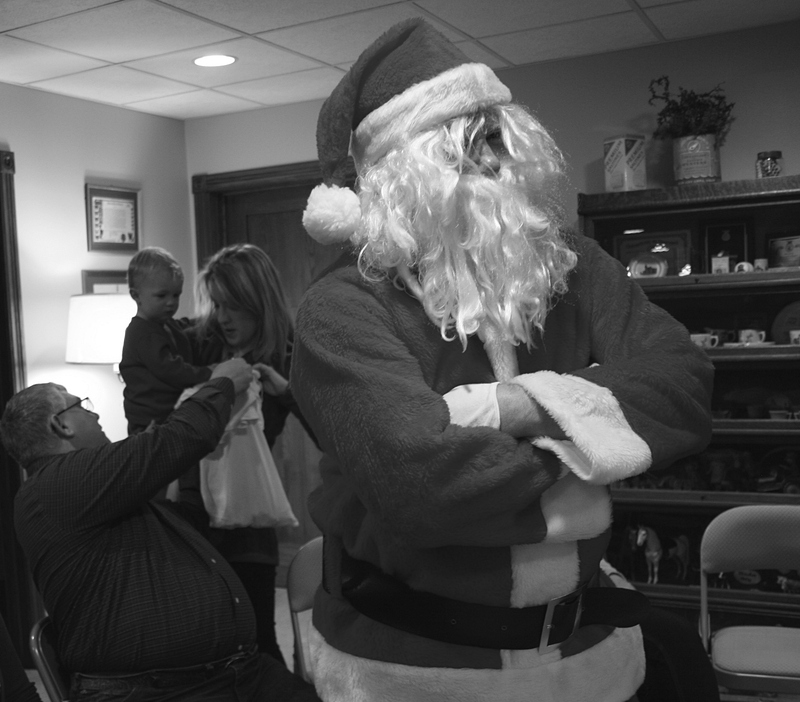 WHEN SANTA SHOWED UP for my extended family Christmas celebration this past weekend in rural Lamberton, my 18-month-old great nephew wanted nothing to do with the Jolly Old Man. Terrified at the sight of Santa, Hank screamed and cried and clung to his mom while the rest of us were highly entertained by his reaction. Despite his fear, Hank still wanted candy from Santa’s bag. So Santa, being Santa, handed the bag over to Hank’s grandpa and turned his back while Hank and his mama peered inside for a treat. I captured the moment. And, if I didn’t know Santa’s reputation for being a happy, cheerful man, I’d say he appears a bit miffed, standing with his arms clamped across his chest and no apparent twinkle in his eyes. 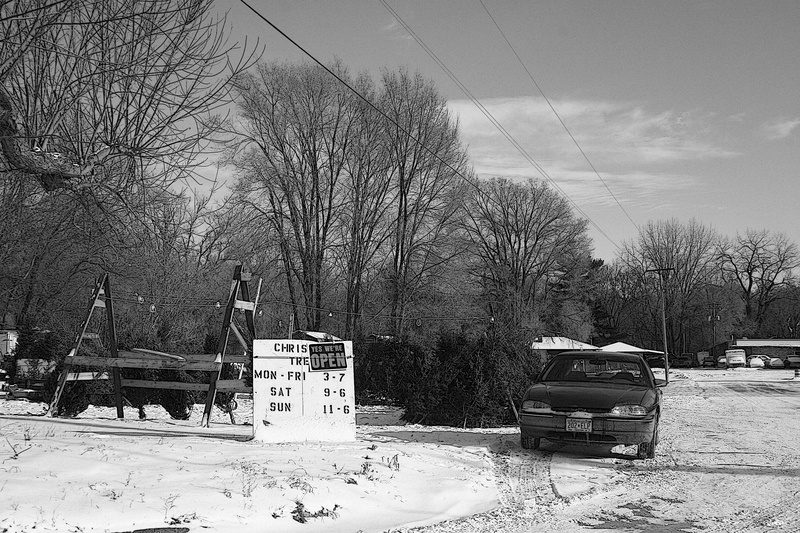 FOR MANY A HOLIDAY SEASON, this unpretentious Christmas tree lot has operated at the intersection of busy Second Avenue Northwest and Minnesota Highway 3 near the edge of Faribault. I’ve never shopped for a tree here. But, one of these holiday seasons, instead of passing by, I need to stop and ask a few questions, take a few photos, learn the history of this place and perhaps pick out a tree. 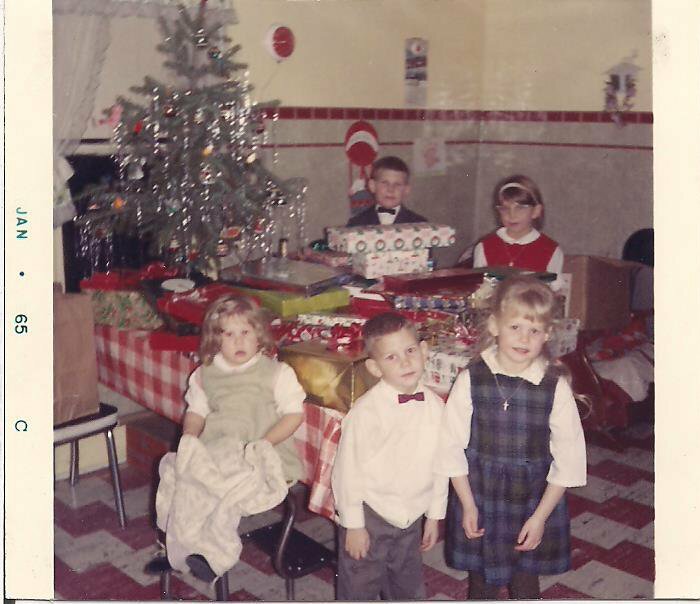 Our family Christmas tree always sat on the end of the kitchen table, as shown in this Christmas 1964 photo. That’s me in the red jumper with four of my five siblings. The lot reminds me of childhood Christmases, when my family would choose a short-in-stature, short-needled Christmas tree at the local grocery store. To this day, I prefer a Charlie Brown type tree to one that’s tall, full and perfectly-branched.